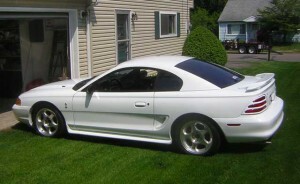 About my car: Cobra SVT #1020 of a build of 4005. Born in Dearborn 1/18/1995. I have all documentation including original window sticker and SVT certification. 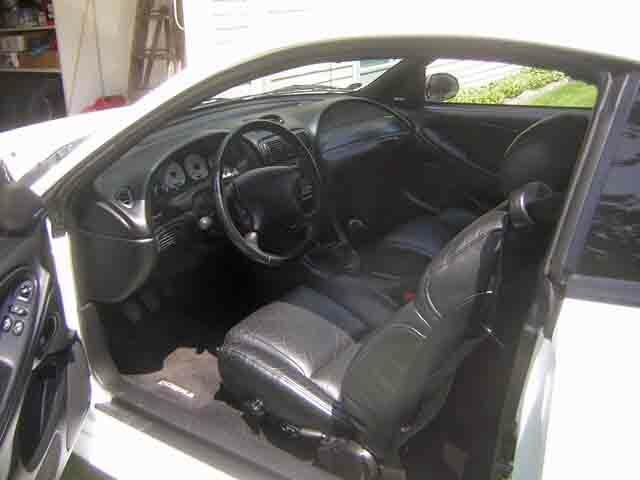 Crystal White with black leather interior; one of 498 produced in this color combination. I purchased this car in 2002 in Atlanta, Georgia from a private owner, and drove it back to NYS. The car was sold new in Durham, NC; has always been garaged and never has seen a winter. Slightly over 27,000 miles. 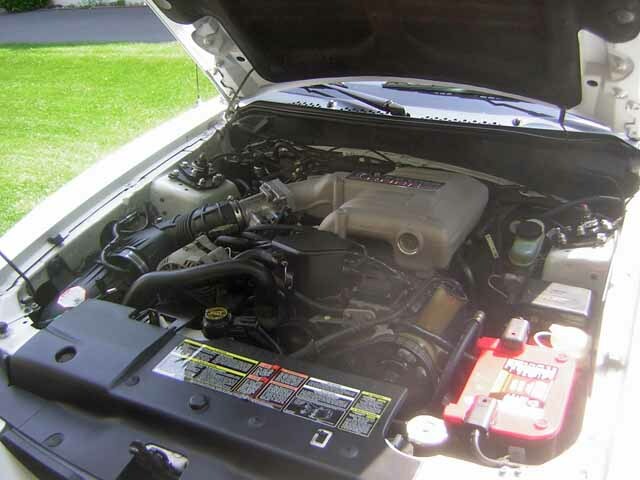 It is in “as-new” condition as possible for an 18 year old vehicle. 1995 was the final year for the venerable 5.0 L small block V8 in Mustangs. The few modifications include Maximum Motorsports sub-frame connectors, MM caster-camber plates, Tokico Illumina adjustable shocks, H&R springs, Steeda shifter, Bassani high-flow cats and X-pipe, Flowmaster mufflers, Optima Redtop battery, and 3:55 Ford Motorsport gears. I ran this Cobra at Watkins Glen in several open track events during 2003 and 2004 prior to building a 1994 Mustang GT for track use. Following a nine year slumber in my garage, I recently returned the ’95 Cobra to the road. 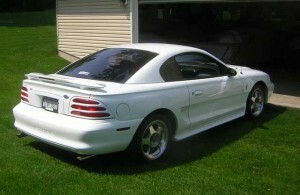 Runs and drives as a SVT Cobra should, and still smells like a new car.